Update from Tyra (26-03-2017): It was possible to rent a motorbike for 30.000 Kyats for a day at The golden Lake Hotel. 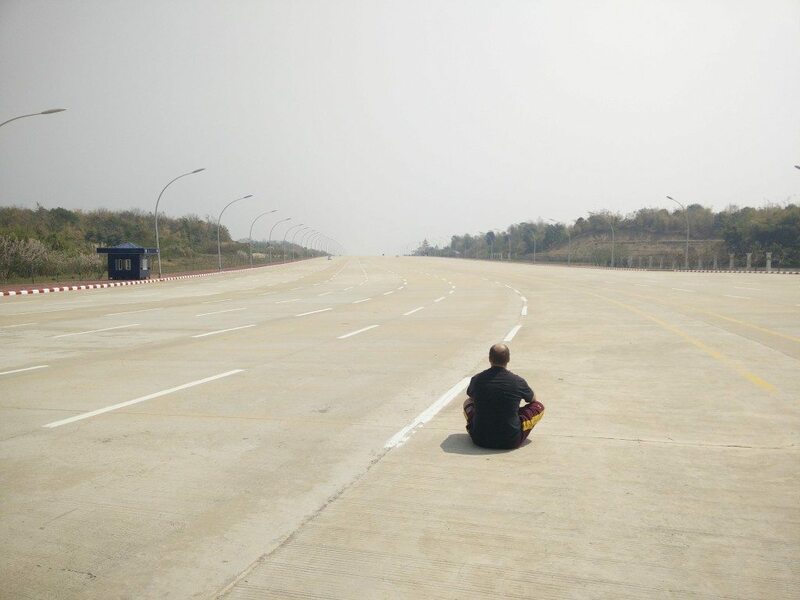 When I was first here it was impossible for foreigners to rent a motorbike. The police didn’t mind foreigners driving around on the motorbike either. Naypyitaw is the official capital of Myanmar – I say official because up until 2006, Yangon (Rangoon) was the capital of Myanmar and de facto still is. In 2006 the capital was moved to a grassfield 1km west of Pyinmana. There are many speculations about why this happened but the official reason is that Yangon had become too crowded and lacked potential for growth. Another reason is that Yangon was too close to the water and was too hard to defend in case of a naval attack – a rather medieval reason if you ask me. Less official reasons speculate that it’s political (surprise). In either case it is now a massive strictly coordinated area with designated places for everything. Hotel zones, residental zones, military zones, commercial zones and even an embassy zone. The embassy zone only has one embassy in it – the Bangladeshi. All of these zones are mostly empty and this makes for a spectacular ghost town. The hotels are huge and modern and the roads are intense. Parliament road, for example, is a 10 laned road – in both directions – and with only a couple of cars on it, this 20-lane road is an astonishing display of how to waste money. I mean – alright, you can use it for parading around your military but that’s about it. It’s something I could see North Korea think of as a good idea. What to do in Naypyitaw? As this city is the capital they actually keep all the laws of the country and this means that foreigners can neither rent a motorbike or a car and when the roads and the city in general span over a large area with no public transportation there is only one option and that is taxi’ing it around. We were two and we paid about 55000 Kyats total for a full day (almost 12 hours) where he took us whereever we wanted. He was not a tour guide as such so we relied on the internet as a source for places to go. The behemoth of a road is a sight to behold. We asked the driver to stop so we could take some pictures and instead of pulling over to the side he just stopped in the middle of the road. Well alright then. Let’s take some pictures. The police was standing right there too and didn’t care at all that we were tossing around the road. There is a highway going from Mandalay to Yangon going through Naypyitaw which is also scarcely used but we went there anyway and drove a couple of kilometres out and back. It’s just a highway and as such you can skip this step. Only difference is that no rules apply and we did see our driver make questionable manoeuvres like u-turns, crossings and opposite direction driving. We asked the driver for a place and he took us to a nearby mall. As we where coming directly from overpriced Bagan, everything seemed very cheap – priced as it should be considering the general poverty of the country. We had some good noodles and got a haircut while looking around the mall. The mall had originally produced western commodities like Nike shoes and iPhones but still we didn’t see any other white people – obviously this place mainly sees local businessmen from Yangon and in general the richer part of the country comes here. This pagoda is an exact copy of the Shwedagon Pagoda in Yangon except that it’s 30cm shorter so as to not outshine the original. At first this might seem like a waste of time then as you’ve most likely already seen the one in Yangon, however, this experience is significantly different. 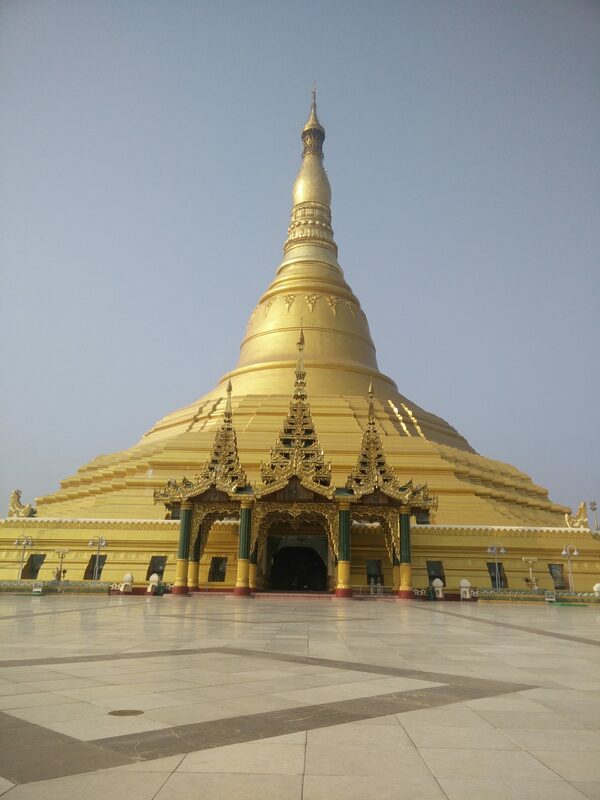 First of all, while the Pagoda in Yangon is completely swamped with people, this one is practically empty – we were the only westerners there at all. Secondly, you get to go inside! Inside it is beautiful and this alone is well worth the trip. When we were there, there were some sort of ceremony going on with around 50 locals praying – something you wouldn’t see in Yangon. Also worth mentioning are the walls covering the inside of the Pagoda as they are covered with paintings, revealing Buddhas path to enlightenment. The Teak, Restaurant and Spa is a high class Spa, Fitness and Restaurant. I was extremely impressed with the level of service that we got here – everything from the poolside restaurant to the full body massage. This place will make you very relaxed and spending the whole day here is not a problem. Now, it is a little outside the normal backpackers everyday budget but if you feel like splurging for a day, this is absolutely worth the money! To put it in perspective, me and my travel companion at the time were both backpackers on a tight budget and this did not shatter our budget. 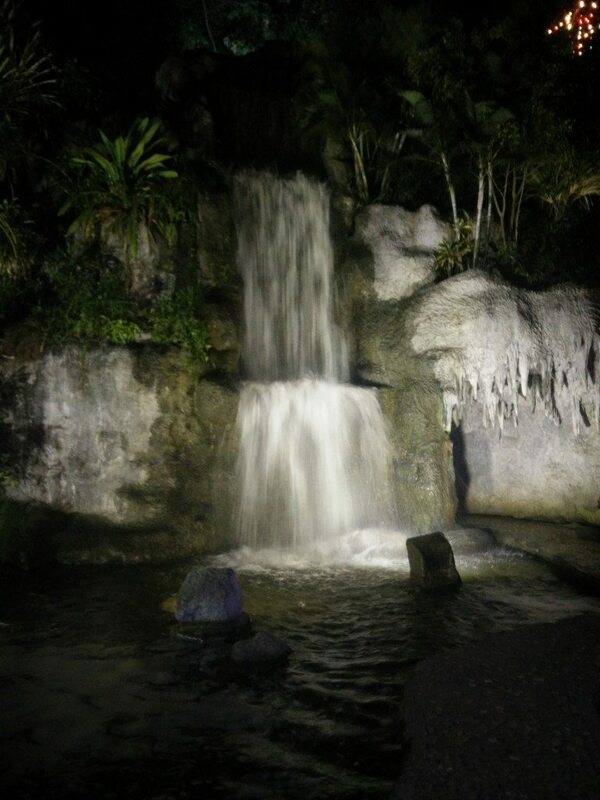 Finally, the last thing we did before ending our day of sightseeing in Naypyitaw was to visit the Water Fountain Park. This cozy park is apparently where all the citizens go at night and is great for an evening stroll. The park has a quaint artificial waterfall that you can walk under as well as behind. There are lots of lights that turn on at night (ask the driver when exactly) and the whole park is definitely worth a visit. We had a our driver walk around with us – and as the evening drew to an end we talked a bit with him and generally this was a great way to end a great day. This place is geared towards domestic businessmen. There are upscale restaurants and business class hotels. You can’t rent anything as a foreigner and will have to rely on taxi’s to get around. Despite this, the place is great if you just want to have some surprisingly cheap luxury (cheaper than Bagan and Inle!) 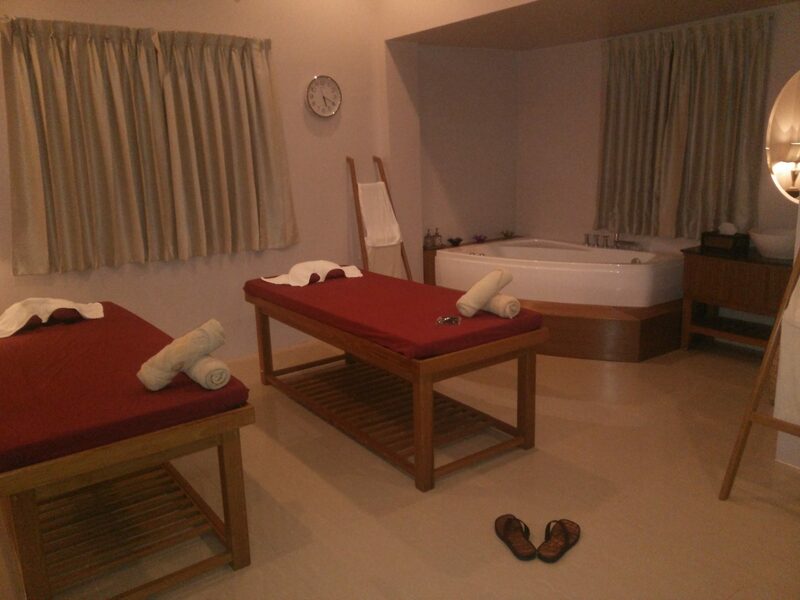 including big air-conditioned rooms and spas/massages. Add to that, the train rides to and from Naypyitaw are taken by only locals and on top being ridiculously cheap (1,5eur for 10hour trip) there are only locals there and the train trips serve as noteworthy experiences all by themselves. 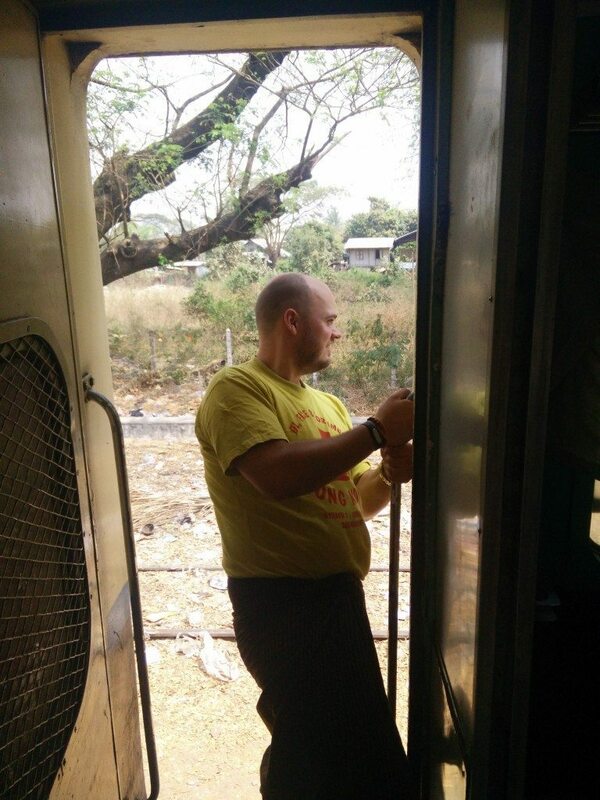 We took train rides from Bagan to Naypyitaw and then from Naypyitaw to Bago. It is also great if you just want to experience a truly unique place and I guarantee you, dear reader, that this place will leave you in awe.